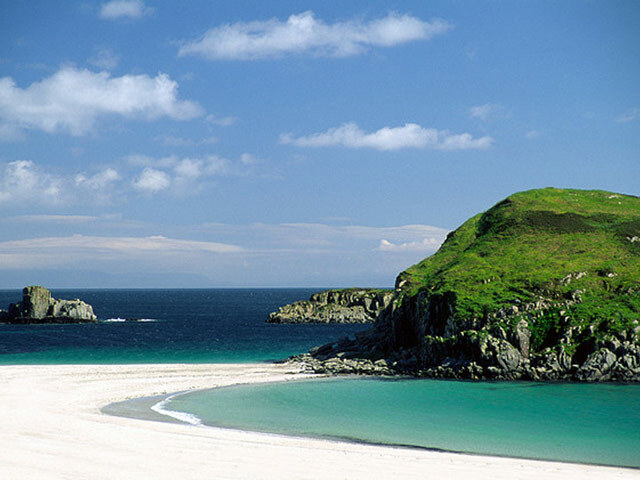 There is a one and a half-mile farm track from the cottages down to some of the most beautiful beaches in Scotland: Port Bheathain and Port-na-Sloachan. 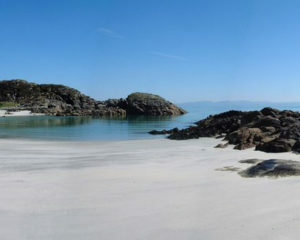 Both these stunning beaches offer sheltered areas for picnicking, rocky headlands and large expanses of sand at low tide. 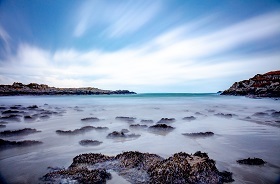 The water temperature is refreshing, although it gets better when the tide comes in over warm sand! 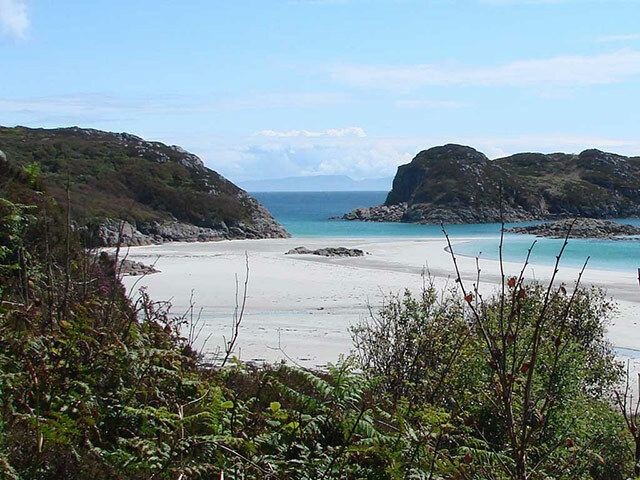 The beaches are rarely visited and in a week you are likely to see only a couple of visitors walking along the coast. Seals can often be seen in the bays. Follow the road on the other side of the loch to the parking area next the Kilvickeon graveyard. Follow the track/path down to the beach that is wonderfully sheltered. In Bunessan Turn left up the hill just before the pub and take the first right, follow this road to its end at Uisken Beach with lovely white sands. You can walk from this beach over the land to Saorphin or vice versus. As for Uisken turn left in Bunessan and take the next left. Follow this road until the right hand turn for Ardalanish weavers and Ardachy head down here and on your left is a parking area. 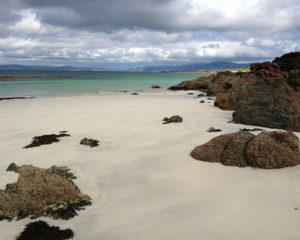 You then walk down the short track to Ardalanish beach. 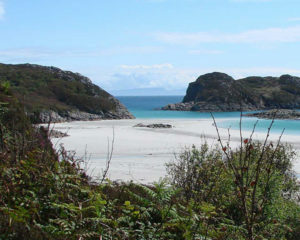 This beach features pink granite outcrops around a white sandy bay. Fidden beach on Mull is perfect for watching the sunset and surrounding wildlife and taking in the calm atmosphere. 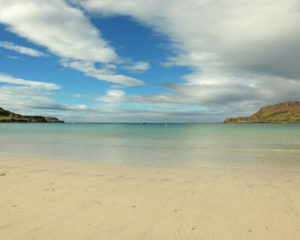 Fidden beach is a left turn from the Columba Centre, 2 miles from Fionnport. 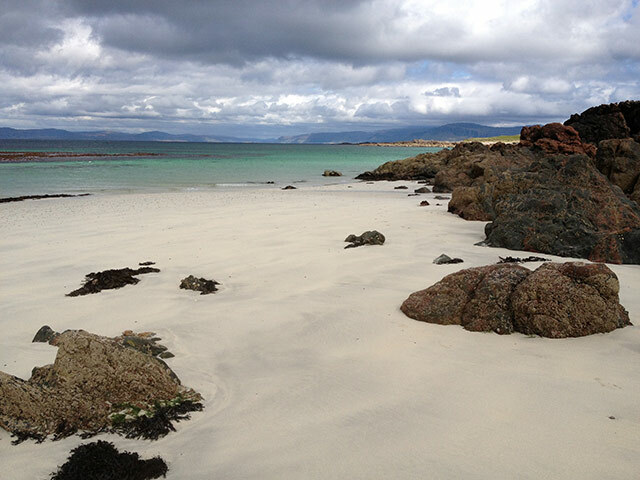 Traigh Ghael, Gaelic for white beach, is a quiet beach tucked away on the South of Mull. 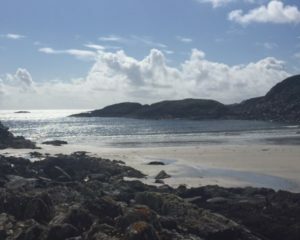 Traigh Ghael is perfect for walks and is a 2-3 hour hike through the Tireragan Nature Reserve, accessible from the road to Fidden, parking a couple of miles beyond at Knockvologan Farm. Once you’re parked, it’s through the gate at the side of the farm buildings. You can even see some abandoned settlements if you take detours through the reserve. 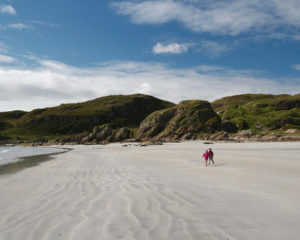 Langamull is perfect to combine with a walk; the beach is reachable 2 miles down the track. 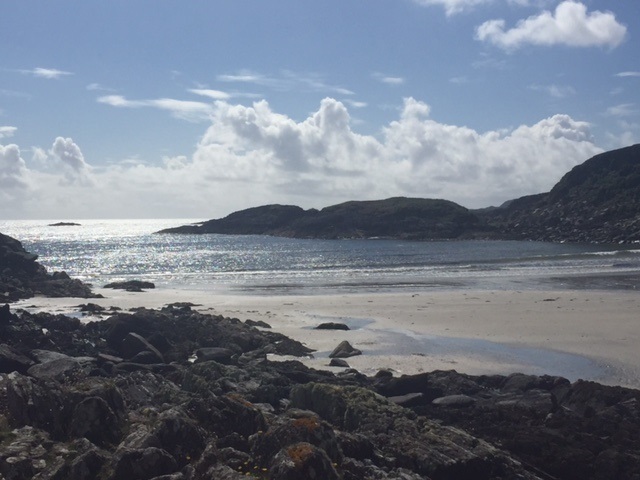 The walk is worth it, as it is one of the most stunning beaches on Mull, with a great view out to Rum, and parking in the Forestry Enterprise car park between Dervaig and Calgary bay. 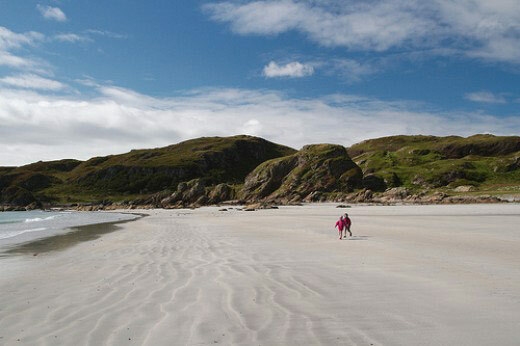 On visiting Calgary Beach on Mull, you’ll find Iron Age forts amongst an exquisite white sand beach. 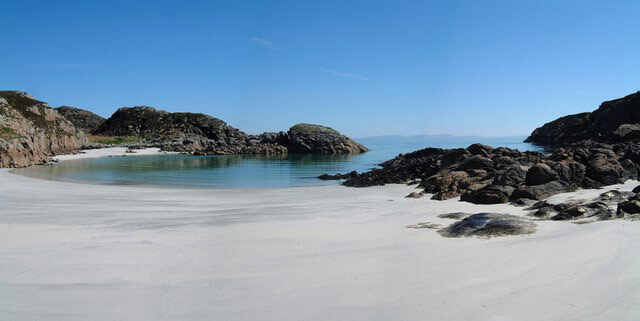 Calgary Beach is just 5 miles from Dervaig village, and is ideal for the whole family. Alongside a coffee shop there is a gallery 10 minutes walk from the beach, parking, toilets and a Wild Camping area for tents.